Samsung Electronics wants to buy its way into the connected car market, with a plan to acquire Harman for US$8 billion. It's the latest in a line of acquisitions by Samsung, as it seeks to diversify its business beyond the slowing smartphone market. Other recently announced deals include last month's buy of artificial intelligence startup Viv Labs, which has developed a virtual personal assistant Samsung hopes to put in its consumer electronics products, and the June purchase of Joyent, a supplier of cloud services for the internet of things. Samsung only set up its automotive electronics team last December, with the goal of identifying business opportunities in the sector, and where previous acquisitions have been unabashedly about enhancing or adding capabilities to existing Samsung products, the strategy with Harman seems to be more about buying a position in a new market. Harman's best-known products are probably the headphones, Bluetooth speakers and home hi-fi systems it sells under brands such as JBL, AKG and Harman Kardon, but it makes around two-thirds of its revenue from audio electronics. Samsung plans to run Harman as a standalone subsidiary, making few changes -- at least for now. Harman will continue to be led by Chairman, President and CEO Dinesh Paliwal and its existing management team, manufacturing the same products in the same facilities, after the deal closes in mid-2017, Samsung said Monday. In the longer term, Samsung's goal is to transform vehicles with its embedded electronics. Without building cars itself, it hopes to become a key supplier to the automotive industry, pursuing a similar strategy to the one observers say Apple will follow as it scales back its own electric car ambitions. 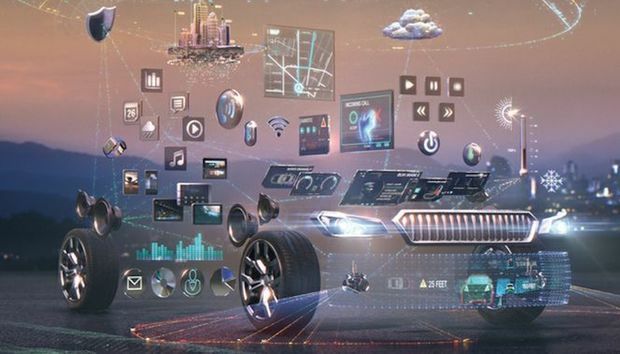 Harman already has a strong foothold in the infotainment market, with the ability to deliver over-the-air updates to a variety of automotive subsystems. Samsung hopes to build on that with its own expertise in next-generation wireless networks, display technologies and user interface design. It also hopes to enhance Harman's vehicle security systems with its own security software: This could open up a new market for Samsung's Knox mobile enterprise security platform. One thing Samsung will need to watch out for: car batteries pack a lot more energy than those in the ill-fated Galaxy Note7.